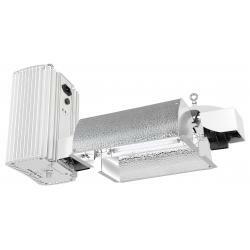 The Sun System® 1 LEC® brand technology 630 watt ballast is optimized for cutting edge Light Emitting Ceramic® brand technology. 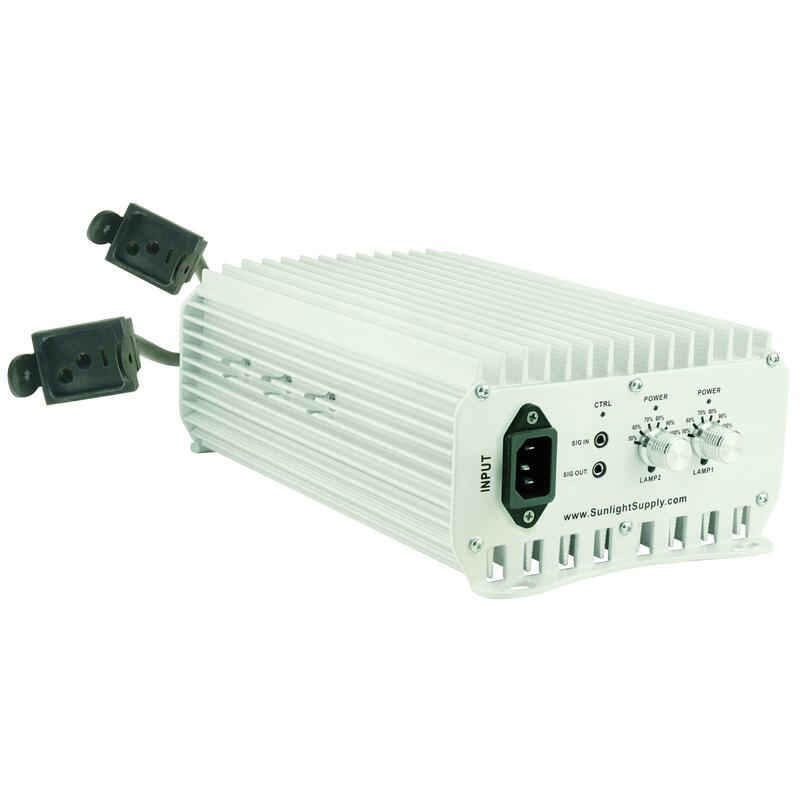 This ballast has a thermally optimized non-fan cooled aluminum housing while operating on 50/60 Hz low frequency, square wave which makes this electronic ballast highly efficient. 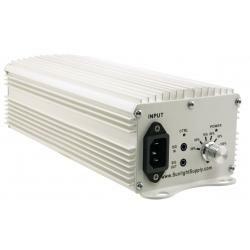 The Sun System® 1 LEC® brand technology 630 ballast operates at 120-240 volt, which has a rated life of 50,000 hours. 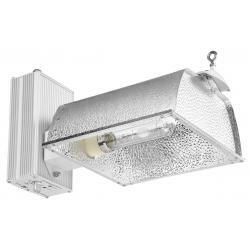 Sun System® 1 LEC® brand technology 630 watt dimmable ballast operates two 315 watt ceramic metal halide lamp, ANSI: C182, at 50%, 60%, 70%, 80%, 90% and 100%. This ballast includes two prewired lamp cord receptacles that is compatible with all Sun System® LEC® brand reflectors. The Sun System® 1 LEC® features controller-compatible signal ports for on/off/dimming functions as well as an ambient thermal temperature probe. 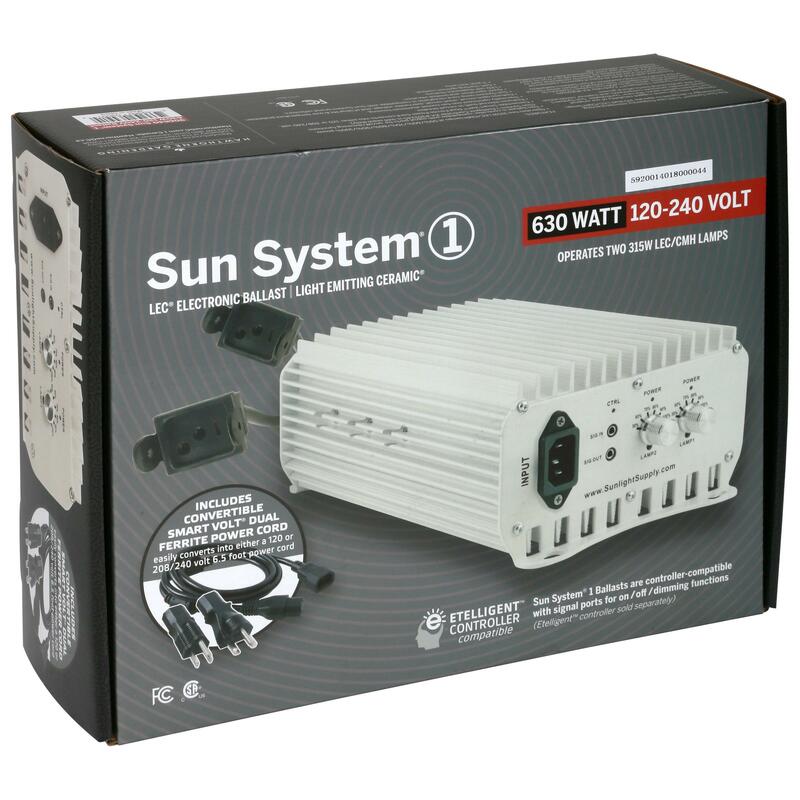 The Sun System® 1 Etelligent™ Controller Kit #902245, (sold separately), allows up to 400 Sun System® 1 ballasts to be daisy-chained together. 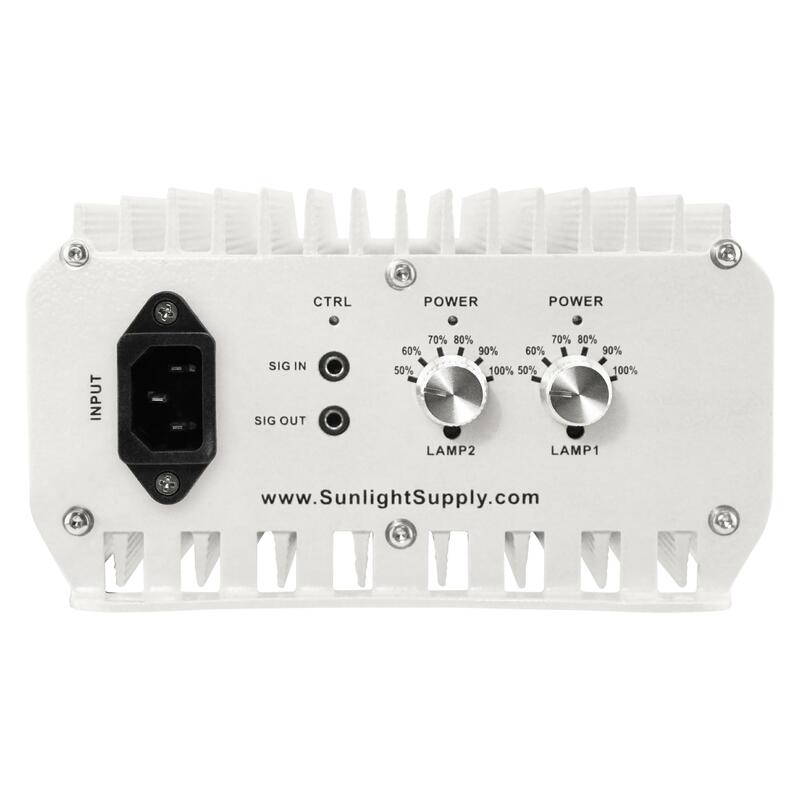 This controller allows for wired control of the on/off/dimming capabilities of Sun System®1 ballasts. Includes a 6 ft 120 volt power cord as well as a 15 ft Etelligent™ signal wire. 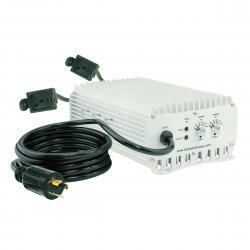 Purchase a 208-240 volt power cord separately (#903082).